Polish off whole family sized bag of Cheetos on the drive home, whilst laughing about the whole experience. Despite the catalogue of errors, I had the best giggle I have had in years. And the coastline of Ibiza is simply stunning. So if you can master the kayaking…..and remember your swimming togs…..it really is well worth it. Our guide Toby was great. 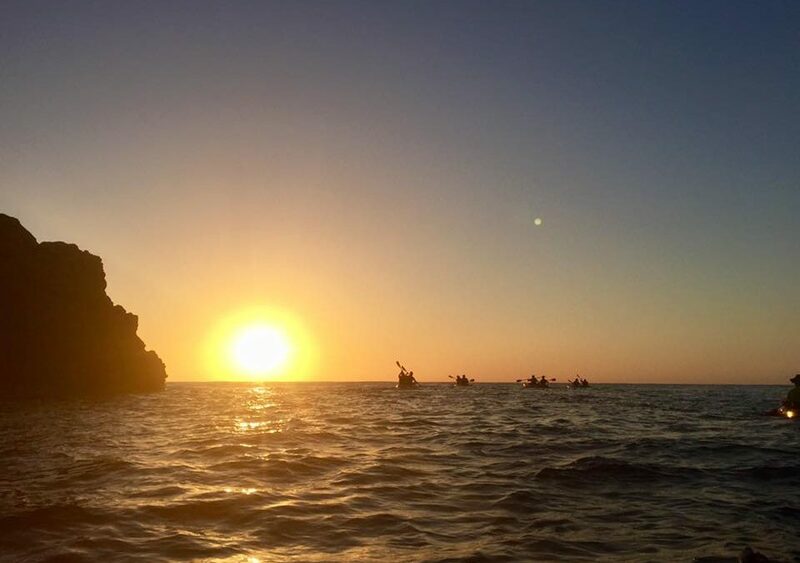 If you fancy the sunset kayaking trip, don’t let my account put you off. You can book with Walking Ibiza. Cover photo courtesy of the Walking Ibiza Facebook page as ,fortunately, I left the proper camera at home! Only if you did all the paddling!